Welcome to New Blue Home and Gift! We carry all types of furniture in leather and fabrics including sofas, chairs, recliners, ottomans, cocktail ottomans, accent furniture, rugs, bedding and table top to accessorize any style of cabin or home. We are dedicated to helping you decorate your home in comfort and style. We specialize in offering you design services for picking out the perfect sofa, chair, accent furniture, rugs, kitchen islands, accessories, and other design items as well as gifts! Please enjoy looking through our website but be aware that we have many more items available to chose from in our store. Our Living room selection includes sofas, loveseats, rugs, coffee tables, and more. Be sure to ask us about the wide variety of products we can order. Refurnish your dining room for a brand-new look. Our dining furniture includes tables, benches, cabinets, dining accessories and much more. We can help you choose the perfect furniture and create a new style for your bedroom, or help you choose furniture that compliments your current theme. We can help you refresh your bathroom with a new vanity, accessories, and much more. Let us help you find the perfect look that you will love for years to come. Our Kitchen selections include islands, dishes, towels, and more. Come by our store and browse our wide variety of Kitchen Furniture and Accessories. Main and Main is an apartment located in downtown Blue Ridge and is available to rent from Southern Comfort Cabin Rentals. 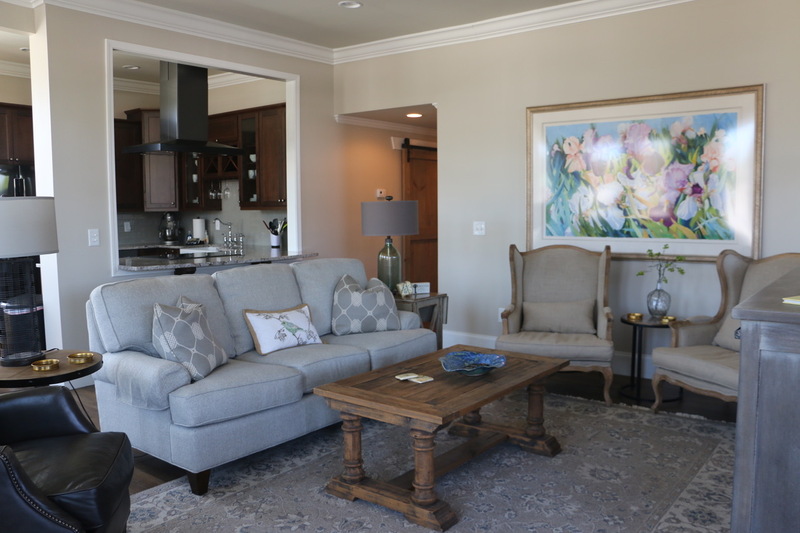 The owner of this apartment wanted to update the entire apartment and enlisted Boyatt Design along with our designer, Vicki Decker, to update this beautiful space. The Ballar’s came to Vicki and requested help with the interior of their new Blue Ridge home. 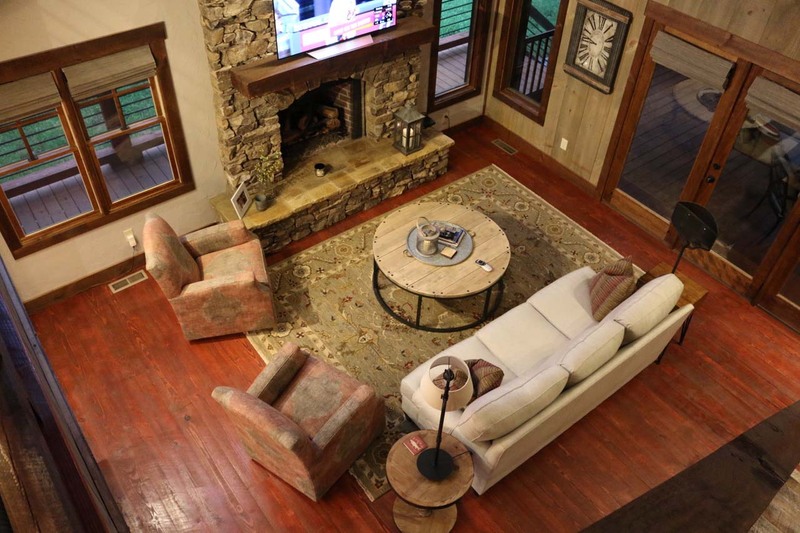 They wanted to create a home that was a comfortable, inviting mountain getaway. Vicki helped them chose colors, rugs, furniture and accessories that would compliment their personalities.